Our ranges of Hastelloy C22 Seamless Pipes are resistant to general corrosion, crack proof, inter granular attack and pitting. These are available in a variety of forms Round, Square, Rectangular, Coil, ‘U’ Shape and grades Hastelloy C-4 (UNS No.6455), C-276 (UNS No.10276), Hastelloy C22 (UNS No.6022), Hastelloy C 2000. With the experience of last 18 years we are engaged in manufacturing and supplying the best quality of Hastelloy C22 Seamless Pipes Our products are available in different shapes and size and are customize as per the need of our customers. These products are available in horn tube, boiler tube, IBR tube, hydraulic tube, capillary tubes and precision tubes. We supply tubes which have various features of electro polish, bending buffing, expo and fbe coating and installation service are provided to them. We offer a wide range of Hastelloy C22 ERW Pipes that finds application in various industries across the globe. 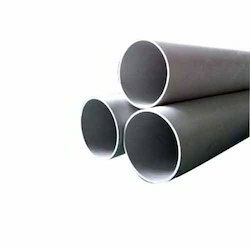 Manufactured from quality raw material, these Hastelloy pipes are appreciated for its features such as tight tolerance, smooth surface and uniform mechanical properties. Fabricated as per the ASTM: B622, B619, B622, B626 standard and available in various grades Hastelloy C-4 (UNS No.6455), C-276 (UNS No.0276), Hastelloy C22 (UNS No.6022), Hastelloy C 2000. These products are known for its features like Value Added Services, Hot Dipped Galvanizing, Epoxy & Fbe Coating, Electro Polish and Draw & Expansion. 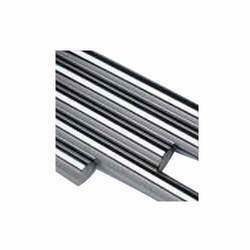 These are available in different forms (Round, Square, Rectangular, and Hydraulic) and lengths (Single Random, Double Random & Cut Length) with ends as Plain End, Beveled End, Threaded. We present a wide range of Hastelloy C22 Welded Pipes which are according to the ASTM: B622, B619, B622, B626 and available in various grades Hastelloy C-4 (UNS No.6455), C-276 (UNS No.10276), Hastelloy C 22 (UNS No.6022), Hastelloy C 2000. 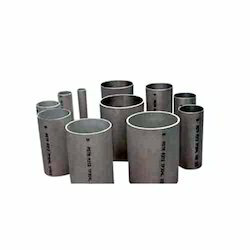 These can be availed in different forms like Round, Square, Rectangular and Hydraulic along with the lengths as Single Random, Double Random & Cut Length. The ends are also in varied types such as Plain End, Beveled End and Threaded. Certain unique features include: Value Added Services, Hot Dipped Galvanizing, Epoxy & Fbe Coating, Electro Polish and Draw & Expansion. We have in store for our clients a comprehensive range of Hastelloy C22 Pipes that are used in various industries like chemical processing, power, paper, pollution and many more. These Hastelloy pipes are sourced from trustworthy manufacturers as we take complete care of quality. The range of products offered by us includes: Hastelloy C22 Seamless Pipes, Hastelloy C22 ERW Pipes and Hastelloy C22 Welded Pipes. 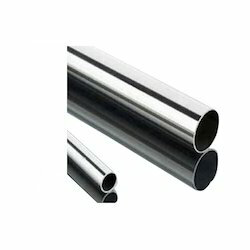 Looking for Hastelloy C22 Pipes ?